Hello, amazing followers! Are you ready to welcome a kind, supersweet, blonde woman? Did you guess who’s today’s guest? 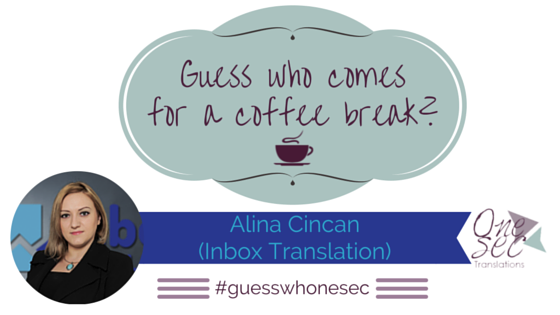 If you haven’t yet, let me introduce you to… Alina Cincan! Welcome to my coffeece, dear! How are you? How are things going? I am so glad you made it and you are sitting here with me to have a lovely chat together. Thank you so much for accepting the invitation and give me (and the audience) the chance to know you better. First of all, congratulations for the titles you were awarded last summer. Your hard work has been repaid! [ Check the full list of winners here. ] I am so thrilled! We haven’t met in person, yet. (Yes, I know. It still is a little bit weird when I speak with people and I know them through social media and I feel like knowing them since forever). I have this positive, peaceful feeling about Alina, and I am sure you are going to enjoy a pleasing, calm chat. Well, I have my papers ready. I am going to ask you six sets plus a Bonus Qs section of questions covering your personal profile rather than the professional one. Today, you are going to answer the shorter part (the first three sets), then, tomorrow, the remainder of them. Everything’s clear? Good. Let’s start! ▷ Alina Cincan. That’s it, no middle name(s). However, my mum has always called me ‘Alice’. Why this was not included on my birth certificate is beyond me. ▷ I translate (English into Romanian) and run a translation agency (Inbox Translation) – not just for a living, but with a lot of love. ▷ A better question in my case should be ‘How short are you?’  I am only 5 foot tall (1.52 m to be exact), so basically a minion. ▷ Virgo, but I don’t believe in horoscopes. ▷ I currently live in London, UK, but I was born in Romania (in a city called Ploiesti). ▷ Well, let’s see: teacher (I did become one in the end), police officer, lawyer and a few other things in between. ▷ I wouldn’t trust a person who didn’t like animals. ☺ I love dogs and I find owls really, really cute. 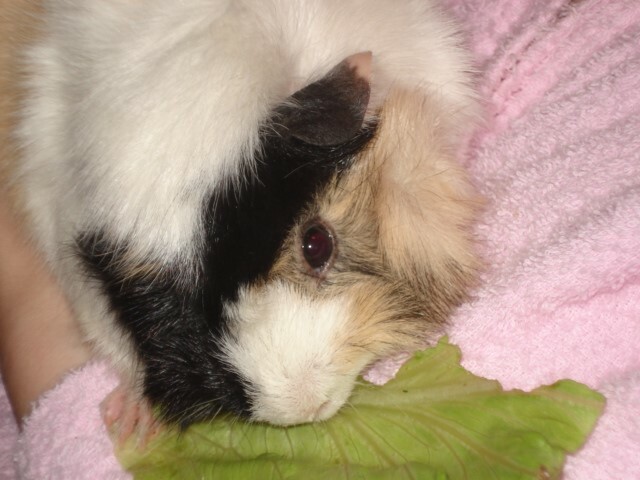 I don’t have a pet at the moment, but I did have a Guinea pig once – pictures below. Wasn’t she sweet? ▷ Coffee!!! I drink tea as well, but coffee is still my favourite drink. ▷ It depends for what. I seem to be pretty productive during the evening – especially when it comes to organising, planning and the like. ▷ Neither. I don’t have a problem waking up early when needed, but I don’t like it. However, I don’t stay in bed until late either, not even during weekends. ▷ Unfortunately no. When I was little, I wanted to play the piano, but now I think I’d like to be able to play the guitar. ▷ Neither. I do try to exercise as often as I can (even if is just walking), but there are days when I don’t. ▷ Not a big fan. ▷ Asking me to choose a favourite book is like asking a mother to choose her favourite child.  One of the best books I have ever read is José Saramago’s Blindness, so this is definitely in my Top 10. The last one I read was The Book Thief by Markus Zusak. Brilliant book, by the way. ▷ While I am active on most social media platforms, my favourite one is Twitter. ▷ I do play computer games occasionally, but very rarely lately. ▷ Heroes of Might and Magic 3. Follow me and Alina to read the latest news while you are waiting for the second part of the interview! Who’s Alina? ▷ Alina is a former teacher, translator and interpreter with over 10 years’ experience, now Managing Director at Inbox Translation and a conference speaker. She is a language geek who likes to keep up to date with what’s happening in the industry. When not writing on the company’s award-winning blog – “Closer Wor(l)ds“, she is writing on other people’s. She also has a soft spot for sushi, make-up, shoes and owls. You can get in touch on Twitter, Google+ and LinkedIn. Thanks for the great coffee, Chiara! I hope next one will be in person. Awww! It would be my pleasure! I hope we could meet up at a conference or any other translation/language-related event. I’m planning where to go in 2016. I will keep you posted! Thank you! And… Thank you for accepting the invitation! I was so happy when you wrote me on twitter! 🙂 Come back and pay me a visit anytime! My summer shoes >> https://www.instagram.com/p/63BBKqRP2d/ 😛 I’ll be waiting for yours! <3 Awesome shoes! Thanks for sharing. OK, deal! I'll try and post mine soon.